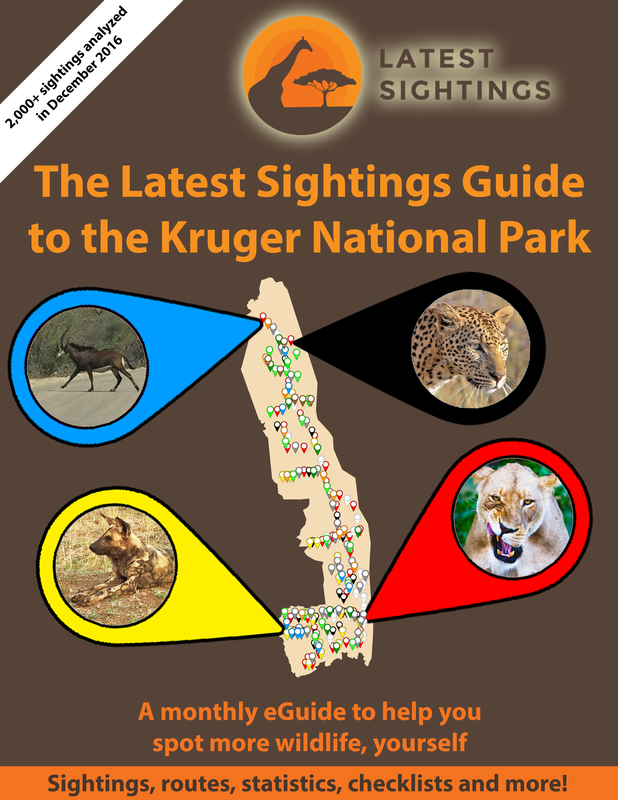 SPOT MORE WILDLIFE IN KRUGER! This is a must have electronic guide when in the park. We analyze thousands of sightings that are shared on a monthly basis and put together a guide that will help you plan the best routes based on hard data. Get your first month at a 75% discount! 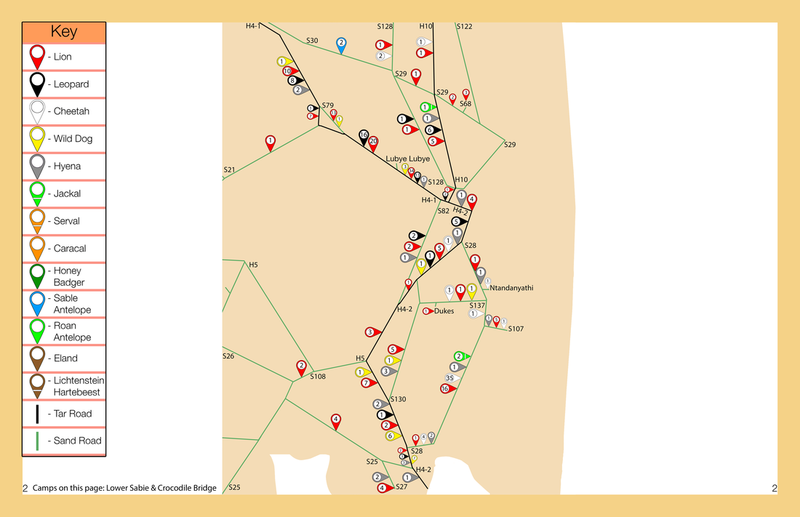 The map shows where and how many sightings of each animal was spotted at each point in the Kruger National Park. ​Get your first month at a 75% discount! 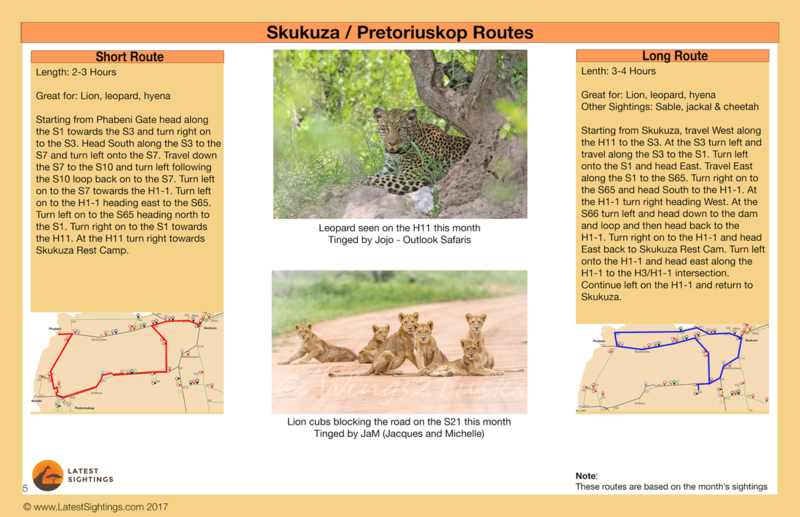 These routes will statistically be able to guide you to more wildlife when in the park, who doesn't want that? 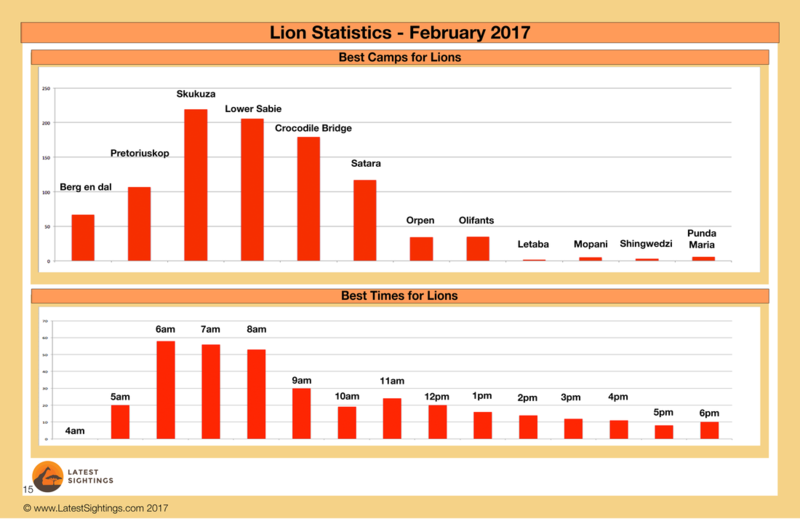 Lots of stats for spotting! New stats are give EVERY MONTH to people who have subscribed. So subcsribe to the eGuide below!